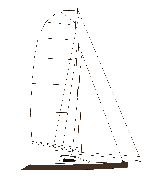 [AB23] Abaco 23, classic looking sport fishing boat. 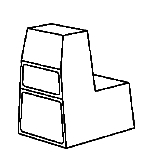 Single or twin outboards, bracket option. 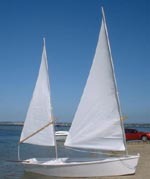 Acorn, a 21' (6,4 m) simple, hard chine, plywood epoxy trailerable catamaran with 2 berths. 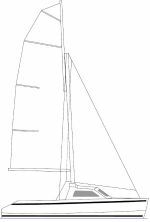 [AR15] Alexa's Rocket: a performance sailing dinghy. 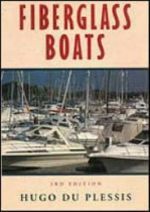 [C17] A small but practical outboard boat with cuddy cabin. [C19] The Classic 19 is an offshore capable sportfishing outboard boat. [C21] The Classic 21 is an offshore capable sportfishing outboard boat. 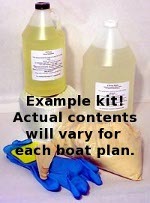 This kit includes all the epoxy and fiberglass listed in our Bill Of Materials for the C21 boat plan. Precision cut plywood kit for the CH12, CH14, and CH16. please specify in order comment form which version you would like. Precision cut plywood kit for the CH16. [CK17] A roomy and fast expedition cat ketch. This collapsing trailer design grew from a desire to have a bit more comfort than a tent. When arriving at a campsite and it’s raining – hopping into your dry and comfy trailer is a lot nicer than setting up a tent. You can cook inside if it’s cold or wet outside or move the stove to a picnic table when the weather is nice. Even if it rains, the roof overhangs the door, so you can leave the door open. 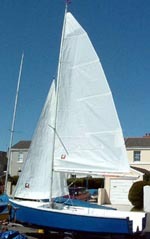 Just pick up the tongue of the trailer and rotate the trailer to face into the wind. [Console_Flats] boat console with seat. [Console_Flats_Short] Short Flats boat console with seat.